Due to an overwhelming amount of work obligations, today’s update will not be as thorough or lengthy as usual. I expect to be able to write a proper update tomorrow. I apologize in advance. A day after refusing to meet the PSUV for the latest round of talks aimed at finding a peaceful solution to the crisis in Venezuela, the Mesa de la Unidad Democratica (MUD) announced today that it would not be attending any future talks until the PSUV abided by the agreements to which the two sides have arrived so far. We will not meet until the agreements are met. The agreements involve, among other points, replacing rectors at the Consejo Nacional Electoral (CNE), releasing the country’s political prisoners, and allowing for humantarian aid to enter the country. The head of the Federacion Medica Venezolana [Venezuelan Medical Federation], Douglas Leon Natera, said today that the country’s public healthcare system was “bankrupt” given a chronic lack of investment by the national government in infrastructure, staffing and supplies. Natera said that public health institutions were operating at 97% scarcity rates for medical supplies, and that as result patients are being asked to bring their own medicine and supplies when they see a doctor. The government knows what’s happening with the hospitals because they are in charge of them. The public [health] network is bankrupt, which results in a healt and [medical] aid crisis. 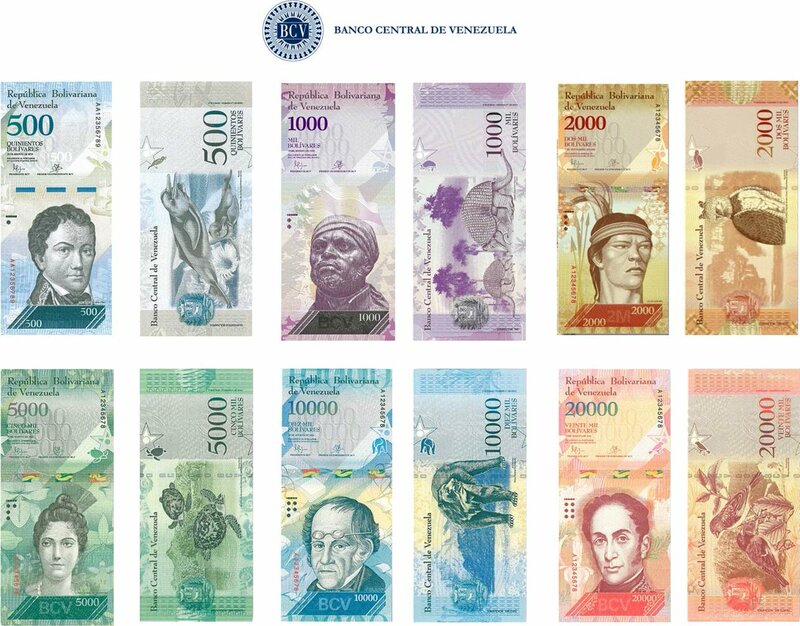 The Banco Central de Venezuela (BCV) held a press conference today in which it unveiled the new bills that will begin to come into some time in the coming weeks. Much to the media’s surprise, the new bills are almost identical to the old bills, with the exception that the new ones are for much higher denominations. When asked when exactly the new bills would enter circulation, BCV President Nelson Merentes refused to provide a clear date. Instead, he answered by saying that the bills would arrive from the agency that prints them on December 15. Nearly a week after being suspended from the MERCOSUR regional trade bloc for failing to adhere by the organization’s membership regulations, Venezuela continues to ignore the measure. The strategy of simply ignoring the suspension has become the country’s official policy regarding the organization. Today, Foreign Affairs Minister Delcy Rodgiruez said that Venezuela is still the president pro tempore of the bloc, and that the country’s member states – Argentina, Brazil, Paraguay and Uruguay – were involved in a conspiracy against the Maduro government. I’m here exercising the pro tempore presidency at MERCOSUR as is my job. There has been a lot of speculation [about Venezuela’s suspension] given the media campaign against the Bolivarian Republic of Venezuela. Rodriguez also said that Venezuela meets 95% of MERCOSUR’s requirements for member states, and suggested that this threshold is enough to allow it to remain a member state in the organization.